We asked Peter Hickey, Head of Operations at HMP/YOI Rochester to give us the low-down on what it was like to be one of the first prisons in England and Wales to use the new online prison visits request service. This is what he told us. HMP/YOI Rochester ran the new service in tandem with the existing paper-based system for the first month. “It’s really important to have buy-in from the top - at Prison Governor level - in order for any new service to succeed,” explains Peter. “But alongside that, it’s important that people can see for themselves that the new way of doing things is working. Especially in an environment like prison which is like a village or a small town. Obviously there are the official channels of advice and communication, but there’s also a lot of word-of-mouth chat, like people recommending things over the garden fence. As well as being available to visitors 24/7, the new service has also brought significant benefits to booking staff. “Moving to dealing with the majority of visit requests by email gives booking staff far more flexibility. For example, if a large number of requests have come in, too many to be dealt with in daytime working hours, then clearing the backlog can be assigned to night staff,” says Peter. 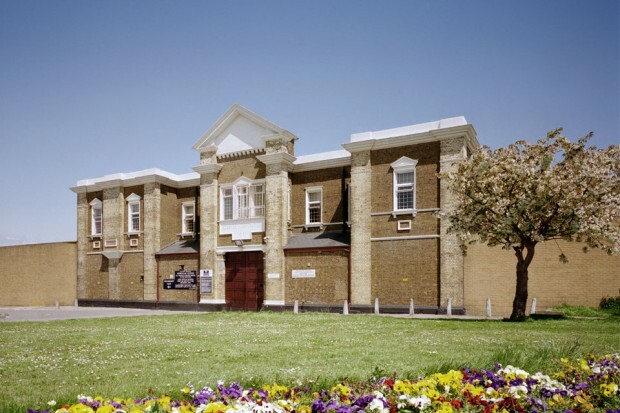 In March 2014 Peter hosted a visit to HMP /YOI Rochester by Paul Shetler, Chief Digital Officer, Ministry of Justice and Mike Bracken, Executive Director (Digital), Cabinet Office.